Eco Friendly Week Australia Runaway Night Day 4, Monday 19th November 2018 was ended with the theme The EFWA UpCycling Challenge by Robert Naorem . The collection for Robert Naorem grand finale is os Fashion archeology getting inspired from the history and pride of Manipur specially the motiff work on the inaphi ... Conceiving something unique from thrifted, handmade downs or recycled shirts. He make a statement showing signature originality to make lasting impressions. His strong design aesthetic conveys emotions, tradition, culture and beauty of hand loom textiles, organic silks and cottons hand woven by artisanal craftspeople from Manipur in India. Design features are intricate embroidery, standout quality and bold colours. His designs collection have the motive of Sangai , Kangla sha , Pung cholom , Meitei Mayek and Nongin. The music was of Manipuri folk composed by Rhythym Thiyam. The final note of EFWA 2018 reaches crescendo, as a wave of spectacular jewel colours flow down the runway. 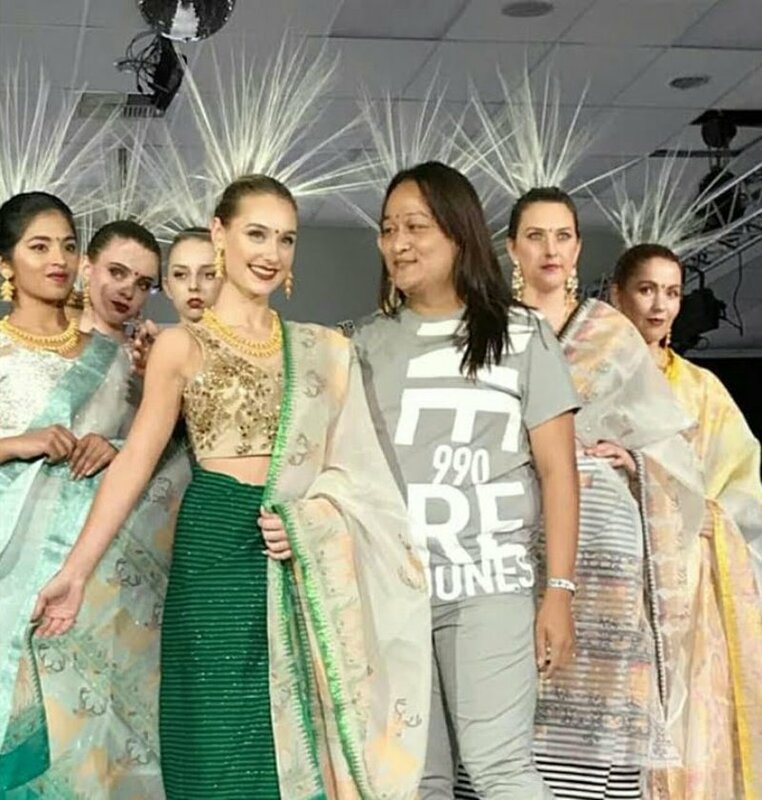 The second edition of Eco Fashion Week Australia (EFWA) expanded to two states in November, 2018. The week-long events featured local and 24 international designers who practise sustainable, local, and ethical production, either by recycling or upcycling, or by using organic and natural materials which do not leave a carbon footprint or use or create traditional hand-crafted textiles; use environmentally friendly fabrics (organic cotton, wool, alpaca, hemp, bamboo, silk ); show evidence of zero waste in their collection; use locally produced products. Strictly no fur and no animal parts are allowed. The date was in Port Douglas (Queensland) from November 4-10, and Perth (Western Australia) from November 15-21. Robert Naorem said , “Global warming has been one of the problems of human existence. It is responsibility of every single person to contribute towards environmental issues and I belief in not wasting product, so try to use and incorporate all my fabric. The fabrics I choose can also be re-designed and used in many different ways. More than just design, my work is about the emotions, the traditions, the culture, and the beauty of the weavers hand loom textiles from the small state Manipur in the corner of India”. The fashion faternity and high profile fashion crowd of Australia present and witness the show. The show also got a huge positive feedback from the crowd and there was a huge media coverage and lots of bloggers attended the show today. The final runway night of Eco Fashion Week Australia is going out with a bang. This article was posted on November 22, 2018.